In over 30 years of private practice, Mr. Murphy has represented both domestic and foreign clients in a wide variety of commercial disputes and government and regulatory investigations. Mr. Murphy has tried numerous cases in the state and federal courts of New York and New Jersey. He has argued appeals before the United States Supreme Court, the United States Courts of Appeals for the Second, Fourth, and District of Columbia Circuits, the New York Court of Appeals and the Appellate Divisions of the New York Supreme Court and the New Jersey Superior Court. Mr. Murphy has also represented clients in arbitration before the America Arbitration Association, the International Chamber of Commerce, and the London Court of International Arbitration. represented a paper manufacturer in a class action antitrust action alleging price-fixing by the paper industry. 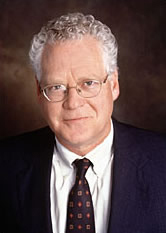 Mr. Murphy is a member of the Association of the Bar of the City of New York and the Federal Bar Council. After leaving law school, Mr. Murphy served as law clerk to the Honorable J. Walter Yeagley of the District of Columbia Court of Appeals (1977-78). He also served as Assistant District Attorney in the New York County District Attorney's Office (1978-1980).